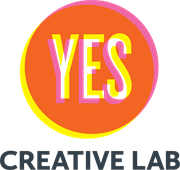 Welcome to Yes Creative Lab! Please complete the following registration form to enroll. To enroll for classes, please click on the Search button below, then choose the class (choose one class at a time). During art classes, students learn to work with various art tools that are used in the everyday creation of art. Though every effort is made to provide students with a safe environment to learn and work in, I understand that there are inherent risks in using these art tools, and that accidents or injury may occur even under the strictest supervision. I hereby waive Yes Creative Lab, its officers and employees from any liability of injury, loss or amage to personal property associated with activities participated in this event. I acknowledge that I understand the waiver described in this document. Waiver is made to the maximum extent permissible under applicable law. I acknowledge that I have signed this document under my own free will. Tuition is due by the first of each month. There is a $10.00 late fee for payments made after the 10th of the month. There is a $25.00 returned check charge for any checks returned by the bank. I understand that I will automatically be billed monthly for ongoing weekly classes, and will be billed in full upon enrollment for any workshops and multi-week series. There is an annual registration fee of $25 for the first student per family, and $15 for each subsequent child. The registration fee must be paid upon enrolling, and then annually. Students get a makeup for any missed class. Makeup classes never expire. If there is not an available makeup class for the exact class the student signed up for, they may use their makeup in another age-appropriate class, or at Open Studio time. I understand that I may not substitute accumulated makeup classes for monthly tuition payments. Please email or call Yes Creative Lab to schedule a makeup class. I must notify Yes Creative Lab prior to the 1st of the month if I plan on missing a month of ongoing classes, or if I plan on dropping an ongoing class, in order to avoid billing for that month. If I plan on missing two or more weeks of ongoing classes in any one month, I can notify Yes Creative Lab before the 1st of that month, to receive a 1/2 month discount. I understand that I will not receive a partial refund for missed classes that are part of a multi-week series or workshop. I understand that Yes Creative Lab does NOT prorate monthly tuition for individual missed classes. Materials fees are included in the costs of classes. I understand that if I lose or damage the materials that were provided to me, I may need to pay for additional materials. I also understand that on some occasions, projects that involve costly materials may be subject to additional materials fees. This is rare, and I will always be notified in advance.